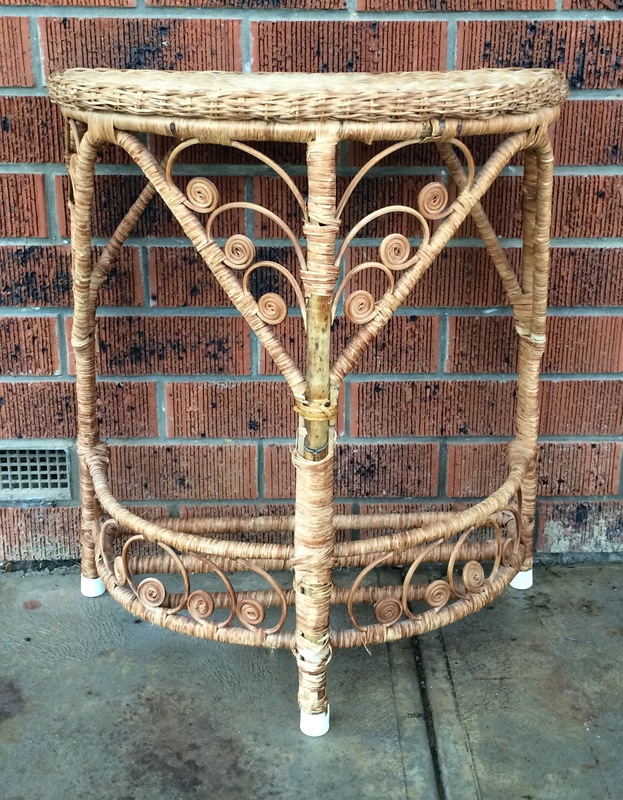 I picked up this cute little half moon cane table on a recent op shop trip for $7. Bargain!!! It’s somewhat damaged, not surprisingly, with some cane missing at the front, but a little spraypaint hides a lot of imperfections! I’m just thrilled with the results! 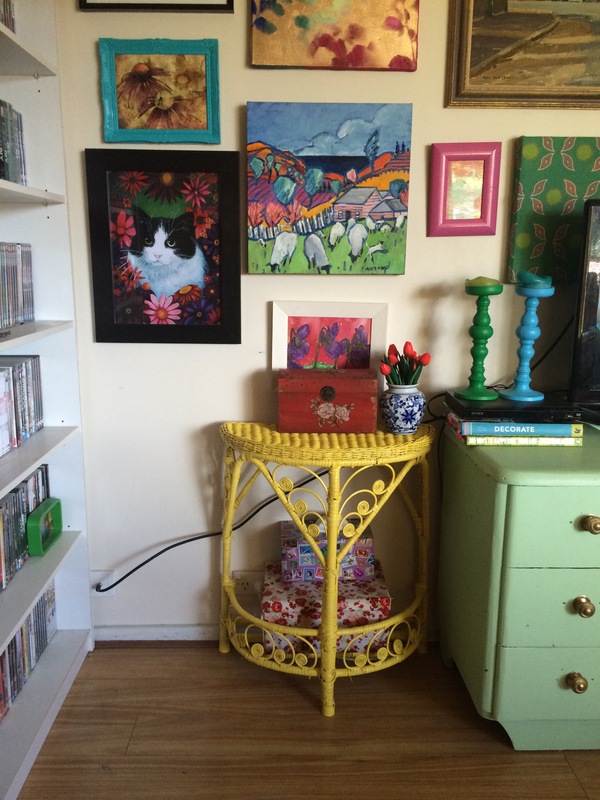 This entry was posted in Furniture Makeovers, Home DIY and Decor, Op Shopping, Upcycled Projects, Upcycling and tagged cane, furniture, makeover, op shop, op shopping, paint, spraypaint, table, thrift, thrifting, upcycle, upcycled, upcycling. Bookmark the permalink. You saved it! Looks great! This makes me want to spray paint something. 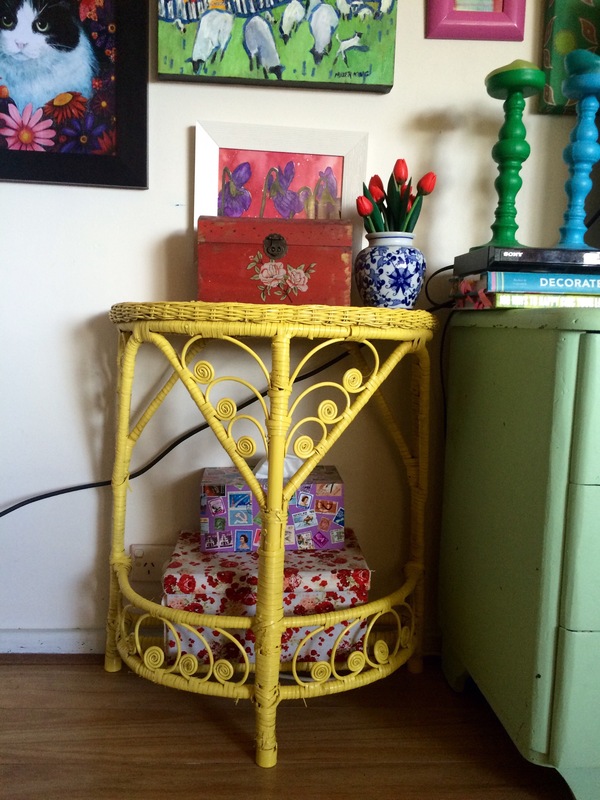 It’s amazing what a can of spraypaint can do for some forlorn, neglected furniture! I admit I am a spraypaint addict.